The carcinogenic effects of diesel emissions/exhaust are widely known. In 1988, the US’ National Institute for Occupational Safety and Health labelled diesel exhaust as a potential occupational carcinogen and, in June 2012, the IARC will be revisiting their existing labelling of diesel particulates as potential carcinogens. The problematic component of diesel emissions is particulate matter, a topic which yours truly has worked on rather extensively; also, many are the research papers on the morbidity and mortality of PM. PM is an aggregated mixture of salts, inorganic, and organic compounds, generally characterised by aerodynamic diameter. The PM in diesel emissions are collectively very fine (less than 1 μm in diameter) and carbonaceous; but its specific composition depends on the engine characteristics, type of fuel used, and any filtering devices utilised. Nonetheless, the end result is that due to their small size, they can penetrate deeply and cause inflammation. Scientists have analysed PM’s distribution in the human lung and sites with PM deposition were predicted to be future sites of lung cancers. On the whole, short-term effects are usually respiratory related. Long-term effects includes respiratory illnesses (ranging from pulmonary inflammation to allergies), cancer, cardiovascular, and cardiopulmonary disease (for more information/references on all statements: contact me)- and even altering of gene expression. But many are the studies associating traffic with increased incidences of respiratory and cardiovascular problems. Furthermore, the particle’s surface adsorbs polycyclic aromatic compounds, often with metals and acidic components (some examples being chlorobenzene, quinines, acids, benzo-a-pyrene, mercury, lead, phenols). In fact, is there a need to refer to published research when our old elementary chemistry lessons should suffice in deducing what happens if those compounds enter into our body via our nostrils? (for more information/references: contact me). In this backdrop, consider the situation of those working in underground mines. 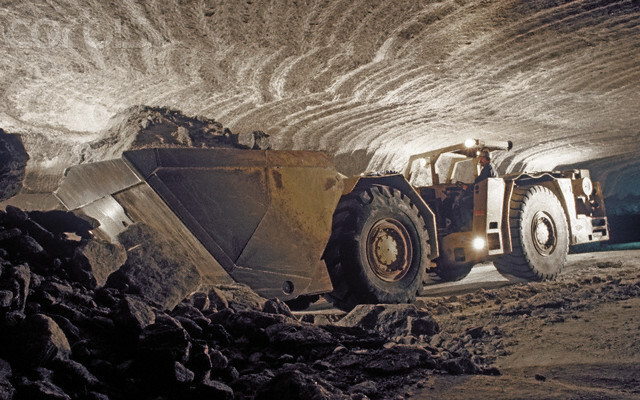 Miners are the occupational group most exposed to high levels of diesel since they use diesel-powered heavy equipment and breathe in the exhaust on a daily basis. Despite the presence of ventilation (if any), in such an enclosed environment, the exhausts culminates in a very high level. Consequently, researchers at the National Cancer Institute (NCI) and the National Institute for Occupational Safety and Health, via their ‘Diesel Exhaust in Miners Study’, aimed at evaluating the risk of diesel exhaust-associated death in miners, with a sample of 12315 US miners at eight non-metal (to minimise confounding variables such as exposure to carcinogens such as radon, silica, and asbestos) mining facilities (1 limestone mine in Missouri, 3 potash mines in New Mexico, 1 salt mine in Ohio, and 3 trona mines in Wyoming). 2. Those exposed to high levels of diesel exhaust underground faced a five-fold risk. 3. In non-smokers, the risk of lung cancer death increased with increasing exposure to diesel exhaust. Those with the highest level of diesel exposure were 7-times more likely to die from lung cancer than non-smokers in the lowest exposure category. 4. In heavy smokers, the effect of diesel exhaust exposure was attenuated (decreased risk for lung cancer death- decreasing with increasing levels of exposure). It is hypothesised that smoking clears the diesel particulates from the lungs. Furthermore, carcinogens in diesel exhaust and cigarette smoke may operate in the same metabolic pathway in the body and compete with each other, resulting in a saturation of the pathway, thus diminishing the effects of either component (NCI, 2012). Let’s take a detour and visit the mining industry queen bees in their comfy airconditioned offices, far away from the worker bees languishing in an environment of PM-emitting machines. In around 1995, a coalition of mining firms (the Mining Awareness Resource Group) commenced a 17-year legal, legislative, and political battle from conducting and publishing the afore-mentioned epidemiological studies. Their first strategy was to stop the study before it began (after all, is there truly any causal link between diesel exposure and lung cancer incidences?). Their next was to control the release of the study findings using quite a many gimmicks, such as asking for reviewing the data before publication, holding the researchers in contempt of court for withholding data, and writing vaguely threatening letters to journals which may potentially publish the studies. The publication of these studies could have the following consequences which affects the industry’s existence and market performance: (rational)investors may withdraw, concerned stakeholders could kick up some troubles, new regulations and standards on diesel emissions, cleaning up, and finding alternatives (all which contributes to compliance costs), and, potentially, miners and their families could sue. What puzzled me was the effort which the coalition put into preventing the studies from being published. In all probabilities, they deduced that the results would not be conducive to their existing status quo. What certainly doesn’t seem to have been considered, by these interested parties (comprising of humans), was the health of their workforce (also comprising of humans). Surely even the rational profit-maximising decision-maker should have deduced that the well-being of the human capital would contribute to long-term firm performance? Politicians too seem to have stood with the industry on this matter. Hypothetically, had the study found no correlation, the studies would probably have been well-publicised by the industry. Whilst this study focussed only on the miners, one could extrapolate this to populations/individuals elsewhere exposed to the analysed levels of diesel exhausts. Several countries in the developing world (where emission standards are practically nonexistent) widely use diesel as a vehicle fuel and there is a concentration of usage in trucking, shipping, and rail works. Even if these individuals are not immediately exposed to levels experienced by the underground miners, this could result in a cumulative accumulation. And one needn’t elaborate more on the plight of mine workers in developing countries. One must also point out that lung cancer is just one of the many worries facing a miner. I hope that the interested parties would view this event as something which could be a source of competitive advantage. For instance, they could develop new technology which further reduces diesel emissions or switch to much more efficient and healthier technologies.